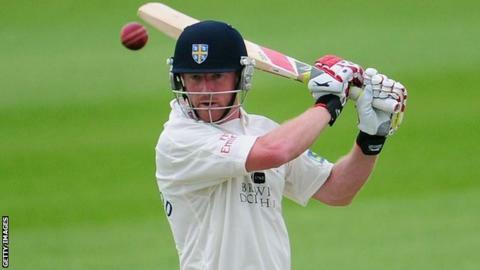 Durham have confirmed Paul Collingwood will take over four-day captaincy duties from wicketkeeper Phil Mustard with immediate effect. Collingwood's first priority as four-day captain will be to arrest form that has seen Durham fail to win any of their eight Championship games in 2012. "I'm excited to have the opportunity," Collingwood said. "[I hope] to use my experience to help us progress in the County Championship and get us back to winning ways." The 36-year-old returned to the Durham fold following his retirement from the England Test squad in January 2011. In addition, the Shotley Bridge-born all-rounder opted not to play in the Indian Premier League this summer in order to fulfil his county commitments. "We're delighted Paul has agreed to take on the captaincy and lead the side," said head coach Geoff Cook. "Paul's international experience is an excellent asset to the team at a time when we need to be delivering our best results. Mustard, who replaced Will Smith as captain midway through the 2010 campaign, will continue to play his part. "We are grateful for Phil Mustard's efforts as captain," Cook continued. "He remains an integral part of the team as a key contributor behind the stumps and with the bat." Collingwood will also be assisted by Dale Benkenstein, who has responsibility for Durham's one day commitments.